ALEX Toys Craft Knot-A-Quilt Pattern is a unique way to make a beautiful throw or blanket without stitching! All of the shapes come with pre-cut edges to be tied together, creating a useful and artistic project. 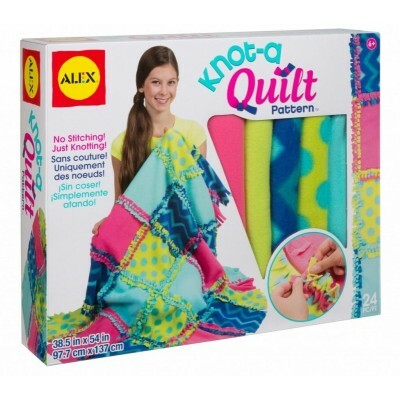 Just choose the order you want the colors, polka dots and zig zags to be arranged in and knot away! 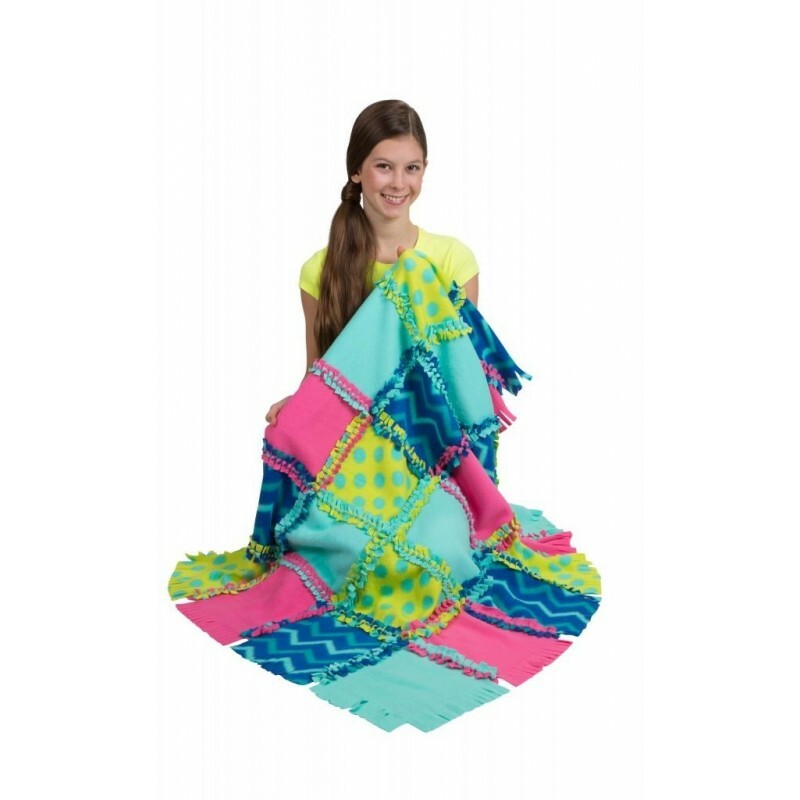 You’ll soon have a bright blanket perfect for taking naps or to keep you cozy while binge-watching your favorite programs! Finished quilt measures 38.5in. x 54in. (97.7cm. X 137cm.). Includes 24 precut soft polyester fleece 11.5in. x 11.5in. shapes (29.2cm. x 29.2cm.) and easy instructions. Recommended for children 6 years of age and older.